Compact, license-free modules allow precise, low profile, low power tracking with minimal impact on this threatened species. 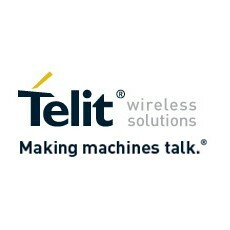 Telit Wireless Solutions, a leading global provider of high-quality machine-to-machine (M2M) modules and services, has released details of an innovative tracking solution for koalas, which are an iconic animal and a tourist attraction. 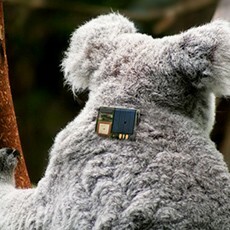 LX Design House, an Australian IoT and M2M contract electronics design consultancy, has been working with a local conservation program to develop “the ultimate Koala tracking collar” using Telit technology. Koalas are difficult to spot in the wild, where they perch high up in gum trees, their speckled fur camouflaged against the branches. In the wild koalas are facing unprecedented pressure as their trees are cleared, existing habitat becomes more vulnerable and isolated and more roads bisect their territories resulting in more koalas being run over. From a national population of around 100,000, roughly 4000 koalas are killed by dogs and cars each year. The koala is arguably now on the brink of disaster in many parts of its remaining geographic range and ultimately the only way to save them is to protect the eucalyptus forests where they live, and which they must have to survive. This is what the Australian Koala Foundation is trying to achieve. The tracking collar that LX developed has to meet a demanding and specialized set of requirements. Koalas tuck their chin into their chest to rest, making it unfeasible to employ bulky electronics or to attach a wide collar. Additional challenges included: close to real-time tracking, activity monitoring, quick release mechanism, size, weight, battery life, long-range operation through thick forest and location accuracy and high-G detection, which is needed to alert researchers when koalas come into contact with vehicles. The Telit GSM HE910 module was used for the array of base stations. It was selected because the solution had to have a small physical profile, very low power consumption and good location accuracy, less than 2.5m. In addition to GPS co-ordinates the tracker provides veterinary staff with information on activity levels. LX investigated a number of solution architectures and key technologies and purchased a number of different development kits to conduct field trials. A point-to-point network was adopted using the ultra-low power GPS collars and base stations. The base stations provide access to the Internet, which enables the location data to be backhauled.